We do represent the following excellent product. brand. 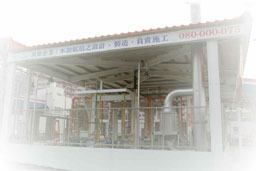 Providing you with a prefect combinantion of LPG system. Just contact us ! for more! 1. 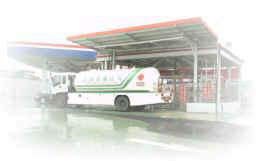 Planning, design, construction and investment of Car-LPG filling station. 2. 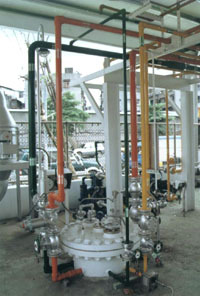 Planning, design, construction and investment of LPG cylinder filling plant. 3. 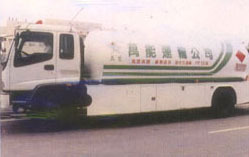 Landtransportation of LPG and various chemicals. 4. 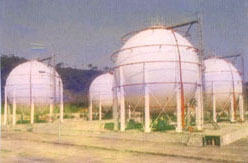 Manufacturing of various pressurized vessel (1 ton - 500 tons) and tanker. 5. 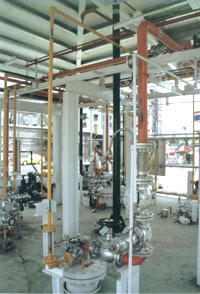 Manufacturing of forced vaporizer of LPG (50kg - 2000kg/hr). 6. 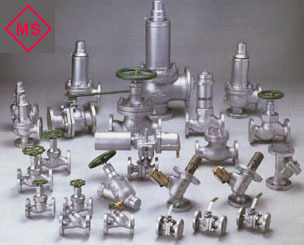 Importation of industrial valves, regulator, mixer, pump, compressor, seismometer. 7. 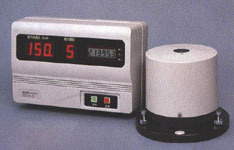 Manufacturing of combustible gas detector. 9. 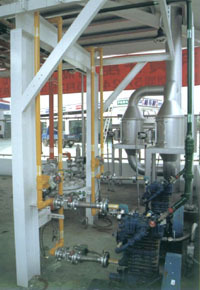 Processing labor inspection and annual inspection of pressure association. 10. 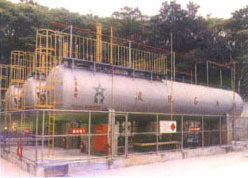 Processing for the application of assessment held by china petroleum. 11. 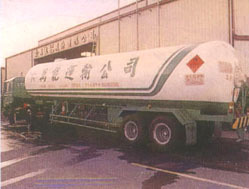 Processing for the inspection of normal pressure liquid tanker body. Meet the CNS 2654 and JIS-B8242 specification the design pressure of LPG tank up to 18kg/cm2, the stock mass production steel plate of our company is SPV450 (steel plate used in transportation vehicle exceed 15 tons and fixed tank exceed 30 tons). The welding method of the tank is submersible arc automatic welding, and weld run are detected X-ray (100%). Tank body annealed heat treatment(625±25℃), water pressure test to 27kg/cm2. 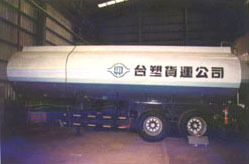 The tank body perform 2 grade sand blast treatment after completion of processing and apply two layers of organic zinc powder premier paint and 2 epoxy resin acid resistance finishing. Easy to follow instructions on an internal LED for calibration, alarm setting, and concentration values. 1.1 Type: diffusion catalytic type. 1.4 Drift: less than 5% per year. 1.5 Life: up to three years at normal service. 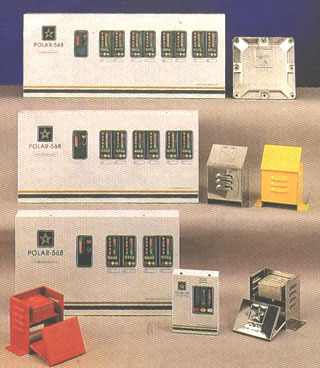 Continuous adjustable low & high alarm contact and malfunction relay for external annunciator or shutdown equipment. Accept order for other specification or voltage and material. Galvanized coil tank are available. Copyright 2009 © 萬能瓦斯集團. All rights reserved.